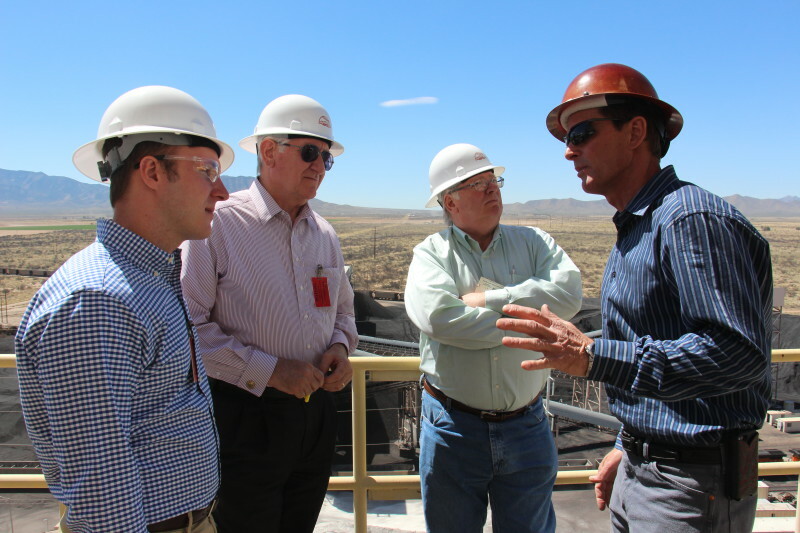 We provide tours of the Apache Generating Station on a regular basis to educate the public, civic groups, state legislators, members of Congress, and regulators about how we work to control costs and maintain the lowest rates possible. Here, Mike Nelson (r), director of power production, explains plant operations during a tour for Arizona Corporation Commissioner Andy Tobin, center. ACC staff members Matt Gress and Ron Bellus (l-r) also toured the plant. Arizona G&T Cooperatives operate on a not-for-profit basis. Like most cooperatives, we return most profits to our Member-owners. This sets us apart from investor-owned utilities, which return profits to stockholders. New regulatory requirements have led to significantly higher electric bills for most consumers across the nation. We have not been immune from such rate increases, but controlling costs remains one of our top priorities. For example, we are realizing substantial cost savings from the merger of Southwest Transmission Cooperative into AEPCO, completed in March 2016. This reduces administrative costs by eliminating the need to pay multiple bank, insurance and professional expenses, and should also result in significant savings in future rate cases. We have found affordable and efficient ways to meet new EPA regulations. In 2017, we will convert one of our two coal-fired units at Apache Generating Station to natural gas, and to add emission controls to the other coal unit, to comply with EPA regional haze requirements. And our partnership with ACES saves staffing costs and enhances service to our Members. Various federal and state regulators affect Arizona G&T Cooperatives, including the Arizona Corporation Commission (ACC), which regulates our rates, facilities sitings and other issues.